13 Nov 2018 Dallas - At the SC18 conference, Excelero, a disruptor in software-defined block storage, announced that its NVMesh 2 software will support the BlueField dual-port 100Gb/s system-on-a-chip (SoC) and smart network interface card (SmartNIC) adapters from Mellanox. BlueField's record-setting NVMe over Fabrics IOPs and ultra low latency will add to the already impressive performance and cost-advantage that Excelero's NVMesh software delivers for today's most demanding applications, including high performance computing. Because computers using NVMesh on BlueField offload IO processing to the BlueField SmartNIC, they free CPU resources for other much needed processing tasks, achieving greater cost-efficiency. In addition, since NVMesh software drivers reside on the BlueField SmartNIC, IT teams running NVMesh on BlueField platforms avoid the need to install client-side drivers - and get an OS-agnostic storage solution that runs automatically on any OS supporting NVMe, such as Windows, proprietary and non-standard Linux distributions, MacOS, VMware and other enterprise platforms. The BlueField dual port 100Gb/s SoC solutions combine Mellanox's leading ConnectX-5 network acceleration technology with an array of high-performance 64-bit Arm A72 processor cores and a PCIe Gen3 and Gen4 switch. The BlueField SmartNIC adapters have demonstrated 7.5 million IOPS, with zero CPU utilization and under 3 microseconds of NVMe-oF latency - performance that is the perfect fit for NVMesh's design for enabling shared NVMe Flash at local performance. 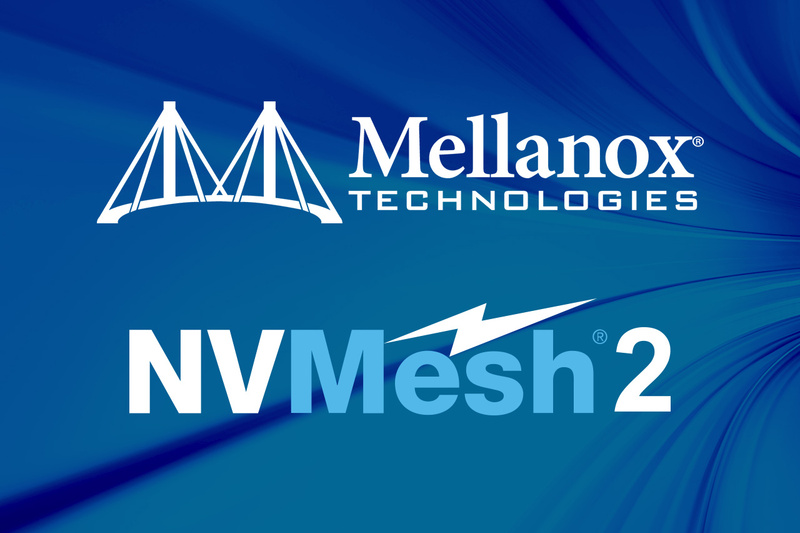 "Mellanox's BlueField family of SmartNICs, storage controllers and systems-on-a-chip provide smart and scalable NVMe accelerations that are a great fit for HPC applications requiring superior efficiency and low total cost of ownership", stated Gilad Shainer, vice president of Marketing at Mellanox Technologies. "Leveraging the advantages of BlueField, Excelero is poised to extend the value of software-defined block storage platforms, accelerating the next generations of high performance computing." "Every IT manager needs smart ways to do more with the same resources, and BlueField along with NVMesh is an outstanding way to accomplish this for demanding web-scale applications", stated Yaniv Romem, CTO of Excelero. "We are delighted to be the first NVMe software-defined storage provider to support the Mellanox BlueField platform, and to continue our support for Mellanox's 100Gb/s solutions." Excelero is presently testing BlueField SmartNIC configurations, with BlueField support planned in spring 2019 in the just-announced NVMesh 2.